Android Data Collector, Android Mobile Computer, Industrial Mobile Computer, Casio Touch Handheld Terminal in Sri Lanka, Dubai, UAE, Qatar, Oman, SaudiArabia. 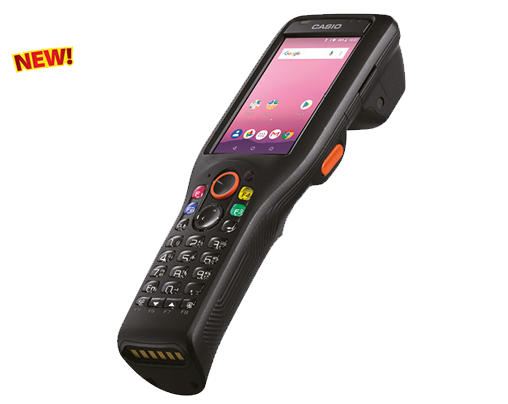 Android™ 6.0, a C-MOS imager and toughness combined in a single device.The IT-G400 handheld terminal uses the Android™ 6.0 platform.It combines advanced technology and usability with toughness and a scanner function.The IT-G400 series is suited to applications requiring use for long periods of time. A large-capacity 5800 mAh battery that comes standard on some models* provides powerful battery life, and the battery is exchangeable.The IT-G400 is equipped to read a wide variety of 1D and 2D code symbologies. Use of the latest module and decoder improves performance on hard-to-read codes, increases depth of field, and increases hand jitter tolerance. A unique design for an easy grip, A next-generation grip-type Handheld Terminal running the Android™ operating system.The shape of the unit is curved along both the vertical and horizontal axes, allowing users to easily aim the device at codes to be scanned and to smoothly move their fingers.The center trigger key and cursor keys are separated to reduce accidental inputs. Operability is improved by having all of the most frequently used keys arranged just below the display. 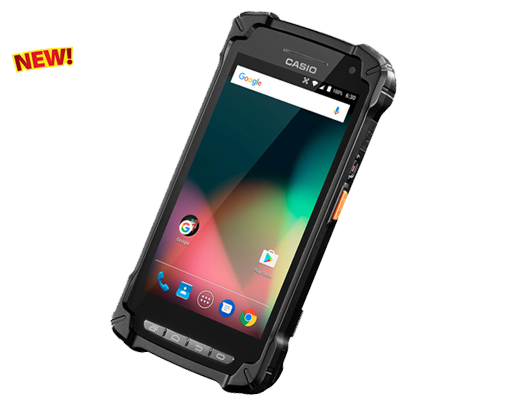 Introducing the DT-X200 range of handheld terminals, which set a new performance standard born of the fusion of strength and speed.A high-performance CPU greatly increases processing speed. Advanced & Evolved Usability.A unique deign for an easy grip.A handheld terminal using an Android platform with ergonomically optimized details and 30 hours of continuous operation.